Description: This amazing program combines CD-Burner and CD-Ripper in one. You can easily extract CD tracks from audio CD as well as record your own music CD (standard Audio CD or MP3 based data CD). It supports popular audio formats (mp3, ogg, wav), can get CD disc information from FreeDB, has a built-in audio player and other great features. Description: Search, Rip, Click & Burn! Easy to learn! Easy to burn! Put your MP3 files on to your own music CD and play them back in your car or home CD player! It cross-fades tracks, auto volume normalizes, auto trims silence and even detects incomplete music downloads! Features an easy find interface to find and import your downloaded and 'ripped' mp3s! Description: With All Free Disc Burner, you can burn data discs for backup; Burn audio CD with audio files; Rip audio CD to hard disc; Create Video DVD or VCD; Grab ISO image from discs; Create ISO image from files; Burn ISO image to CD/DVD; Erase unwanted content from discs; Best support for various disc types; Wizard instructions to operate with ease; High-speed process with detailed log. Description: ALO CD & DVD Burner is an easy-to-use and effective DVD/CD burning software. With this burning program you can create Data CD, Data DVD, Audio CD, MP3 CD & Audio CD Grabber. Description: ALO CD & DVD Burner is an easy-to-use and effective DVD/CD burning software. With this burning program you can create Data CD, Data DVD, Audio CD, MP3 CD, WMA CD & Audio CD Ripper. Description: With AVANTRIX CD-DVD Writer, creating data CD's or data DVD's couldn't be any easier. This easy to use and flexible CD/DVD writing application allows you to quickly add files to burn to CD or DVD and burn your new disc in a snap! If you've ever been overwhelmed by a ton of features in other CD/DVD writing applications, then AVANTRIX CD-DVD Writer is for you. Description: Burn4Free is a free dvd burning software. Easy to use. Compatible with more than 3000 CD/DVD drives. Copy DVD. Burns data and audio (WAV, WMA, MP3, OGG, FLAC, WavPack, .CDA) Burn/Save .ISO file. Verify content. Overburning. Import your audio compilation from .M3U Plyalists. CD-R/CD-RW/DVD- R/DVD+R/DVD RW/DVD+RW/DVD-RAM BD-R BD-RE drives (SCSI-IDE/EIDE-USB 1.0/2.0) are supported. ISO support. copy BLU RAY. Print Compilation. Description: BurnAware Free is a full-fledged, easy-to-use, free burning software which allows users to write all types of files such as digital photos, pictures, archives, images, documents, music and videos to CDs, DVDs and Blu-ray Discs. 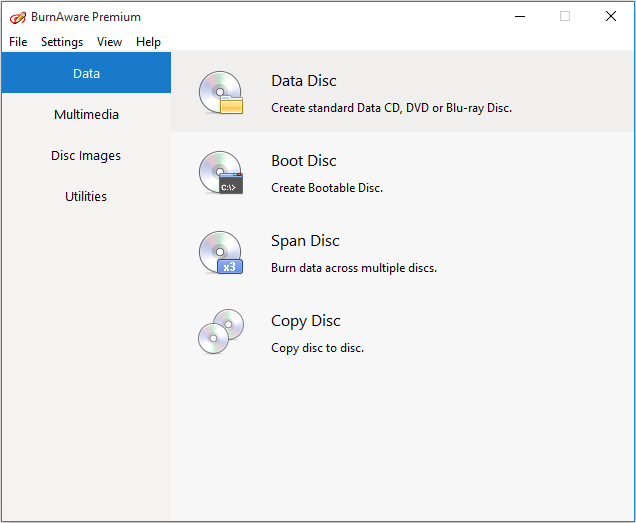 With BurnAware Free, you also will be able to create bootable or multisession discs, high-quality Audio CDs and Video DVDs, make and burn disc images, copy and backup discs. Description: BurnAware Premium is a CD, DVD and Blu-ray Disc burning and copying software designed specifically for users who need additional functionality, besides disc burning, such as disc-to-disc copying, audio track extraction or data recovering. If you are looking for a well-rounded disc burning and copying tool with a price you can afford, BurnAware Premium is a perfect candidate for the job.